Hello, my Empty Nest Friend. I am super excited to be recording my very first podcast episode. Thank you for taking time in your busy day to listen to me. You are the absolute best. My podcast is designed to give you a chance to get to know me before you explore my other resources. I am thrilled to have you here. A little bit about Christine and her empty nesting experience. What Christine loves about coaching future empty nesting women. When the next episode will be out. What day of the week would you like this podcast to be released? Do you have any questions/topics you would like me to cover in an upcoming episode? Christine: You are listening to Your Empty Nest Coach Podcast with Coach Christine, episode number 1. You are a mother who years ago walked away from a career to raise your child. Christine: You are listening to Your Empty Nest Coach Podcast with Coach Christine, episode number 1. You are a mother who years ago walked away from a career to raise your child. Sure, you’ve been busy with volunteering, car pools, maybe even part-time work and, of course, taking care of everyone. But your main gig, that has been your child. Now, that they are in their later years of high school, the empty nest looms ahead for you and whoa, it is freaking you out. I’ve been there, and I get it. I created this podcast just for you. Together, we’ll turn our freaking out energy into freaking awesome energy. Hello, my empty nest friend. I am super excited to be recording my very first podcast episode. Thank you for taking time in your crazy busy day to listen to me. You are the absolute best. My podcast is designed to give you a chance to get to know me before you sign up for any of my programs or coaching. I bet you’re wondering why I decided to help mothers afraid of the empty nest ahead. Right? I would be, if I were you. I walked away from a tech career when my daughter was born. It wasn’t the plan. Life happens, and my husband and I were lucky enough to be able to make it work on one income, with some adjustments to our lifestyle. I do know that not everyone has that option and I appreciate it more than words can say, that we did have that option. Anyway, I had some part-time gigs here and there throughout our daughter’s formative years, but for the most part, my primary job was to take care of her and all that that meant as we navigate through parenthood. We did have an unusual path in that our daughter went off to college four years early, out-of-state, too. 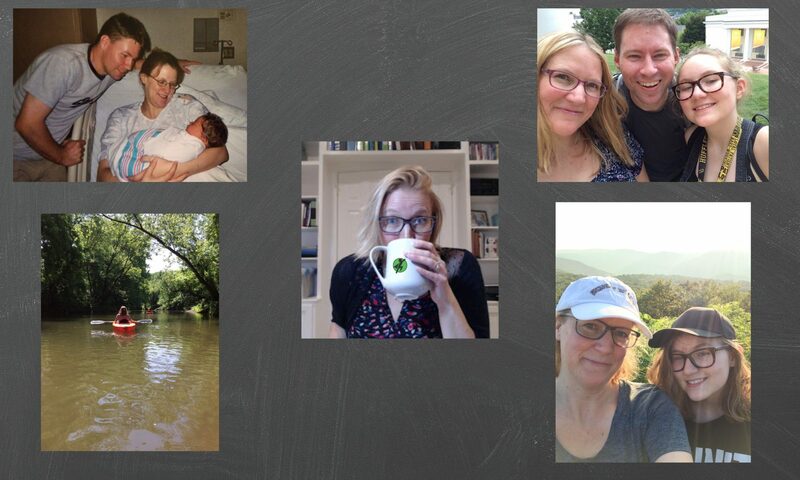 When some kind souls mentioned how lucky I was to be nearing the empty nest early, I had a bit of a meltdown inside. You wouldn’t have known it to look at me, but my thoughts were beating me up inside and with having to deal with it four years early, there were some anxiety laden fears there. I knew my daughter heading to this specific college at this specific time was the right thing for her, I had no doubts about that. I needed it to be right for me, too. I didn’t want her heading off to college being worried about mom. Something to note, the year before she left for college, we were together a ton. She was homeschooled and attended a local community college. I went from having her around all the time, having great conversations in the car almost daily, to having her four states away. I decided to buckle down and work on my own thoughts through the upcoming change. I had been listening to Brooke Castillo’s podcast, the Life Coach School, for years, but I honestly had just listened and had never applied it. It was time for me then, to start doing the actual work, so I did. I used her self-coaching model to guide me through the transition. As you listen to my podcast, and if I am lucky enough to work with you, as your coach, you will find that the self-coaching model that Brooke assembled is used throughout my coaching. Thank you, Brooke! I love to call her Brooke. Like she knows me personally, you know? It all took work. It took a lot of hard work, but it was so worth it. I’ve been able to use the self-coaching model and some of my own takes on it to thrive while my daughter is off at school, start this business, lose forty plus pounds (I’m still going on that one), enjoy my day job, step out of my comfort zone, record this first podcast, reconnect with my partner and more. I share all of that with you in hopes that it inspires you. Trust me, if I can do it, anyone can. I will never tell you it’s easy. It is simple, but it is not easy. I have no doubt, though, that you can do it. It’s totally worth doing this work for you. I’ve been lucky enough to share what I’ve learned with friends and clients. The changes in their lives have been inspiring to me. I love coaching these fantastic women in learning how to be kind to themselves and gaining clarity about their future, even if that changes, and ready to do the work that they know they can do. The best part is that as you work on yourself, you’ll see improvements with all of your relationships, your children, your partner, coworkers, your friends. It’s so much fun. Once it all clicked for me, it was almost as if I had unlocked my super power. That’s why my logo is the way it is. I can’t wait to help you find the super power, too. My second episode will be uploaded in January of 2019 and we’ll dive right into observing your thoughts. I’m uploading this podcast a bit early so that I may figure out the processes and all the tech details that I need in place to bring you my weekly podcast. Be sure to subscribe to my podcast. I do have a question for you. I’m wondering what the best day of the week to upload my podcast would be. Do you have an opinion on that? Also, do you have any questions that you would like me to cover in an upcoming podcast? Please let me know on the comments on my website. I don’t want to forget to tell you that this podcast is sponsored by my free seven-day class, The Empty Nest, a Guide to Uncovering My Future. This seven-day, or more, depending on how fast you go through it, will help you discover future you. She’s absolutely there, you just need to find her. I guess that’s it for now. I’m crazy excited to get this going. Have a tremendous Holiday Season in 2018, be kind to yourself, amazing lady. You are so worth it. See you next time, where we talk about thoughts. Hey, my Empty Nest Coach!! LOL, it sounds AWESOME!! To answer your questions, no, it really doesn’t matter which day of the week you send out; however, Sunday mornings are always more leisurely for me, but I’m thinking you’re gonna get a really wide variety of answers…remember trying to schedule things for homeschool events???? HAHAHAHA….as for questions, I don’t have any off the top of my head, not enough coffee, yet. I will let you know. Thanks, Beth! Sooo funny. Yes, I DO remember scheduling for homeschool events (oh my!) I definitely don’t want Monday, as I feel like most of my podcasts upload then – and it might get lost in the “noise” of it all. Sunday is an interesting option that I hadn’t considered, as everything I listen to posts Mon – Thu. – I kind of like it. Thanks for listening and taking the time to comment. Happy Sunday! Previous PostPrevious The Stages of Life that are Ending – Observed in a Thistle Plant? Next PostNext Getting Ready to Send Your Child Off To College? Open When Letters!